Did you always want to talk with someone who has done almost everything with digital recording and playback? In that case you are lucky if you meet with Andreas Koch, the owner of Playback Designs. We met in Munich during the High End Show and it was very interesting to listen to his opinion on the future of digital recording and playback. Looking for a company profile on the internet I came across your biography and it is quite impressive. Maybe that is because I have always been on the leading edge of digital audio and I always had (and liked) to develop techniques that were not available in those days. Techniques like CD, Dolby digital compression, sample rate conversion, file compression and SACD. Part of my career was with Studer, where I worked on 48 track digital recording on a half inch tape format. In 1987/1988 I kept myself busy with the development of storing music on high definition hard disk recorders for professional use. I worked with Sony on SACD and DSD encoding/decoding in the very beginning of SACD. Worked for Dolby in the US to build hardware for digital audio compression schemes. At Studer I had the chance to do a lot of research on ringing of digital filters and to try to avoid ringing in DAC’s. As an independent contract engineer I built converters from scratch that decoded the DSD streams from SACD, but also for improved recording techniques. Till finally in 2008 I started my own company named Playback Designs. Is DSD still important to you? For sure it is. In our devices we use the 44.1 kHz sample frequency as a basis, convert the digital signal into 16FS PCM, make a DSD stream of it in 5,6 MHz, multiply the sample rate by another factor of 8 and finally at a sample frequency of around 45 MHz we decode the signal into analogue sound. The reason we go from PCM to DSD is because our ear and our brain works much more like a DSD stream than PCM. Even if you look at the signal on an oscilloscope we could never guess the frequency of a recorded tone from PCM but we can from a DSD image. Researchers found that we are able to hear steady state tones with frequencies from 20 Hz up to 20 kHz with a dynamic range of at least 140 dB. They also found that our ear can perceive transient signals up to 100 kHz in frequency, although with very limited dynamic range. But still they are part of what we hear. For DSD we do not need steep filters that block everything beyond 22 kHz, we make use of a very graceful filter, actually a low pass filter at a high frequency outside our normal hearing range. DSD’s typical characteristics follow the ones of our ear much more closely than PCM’s and, therefore, DSD is more natural to our ear. Indeed it is. But we learn how to use it. In the past we even had to struggle with 16 bits, because it was new, but we have overcome these problems and today’s technology brings us high sampling rates and far more bits. Processing DSD in the studio is problematic, because there are hardly any tools available. The most common DSD production tool converts DSD into a very high rate PCM format for editing. That can be problematic, but at least it is at a high sample rate. The best or most compatible method would use analogue processing gear (mixers, outboard processors etc.). How does Playback Designs help us to get the most out of our silver discs or computer files? We have four products on sale at the moment. 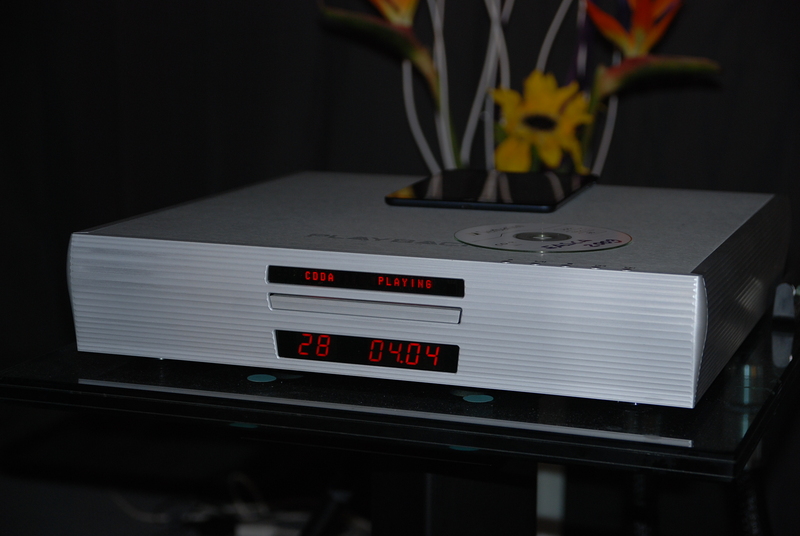 We started with the MPS-5 music playback system, which is a SACD player with a D/A decoder on board. We have also the MPD-5, in that case we left out the player part. 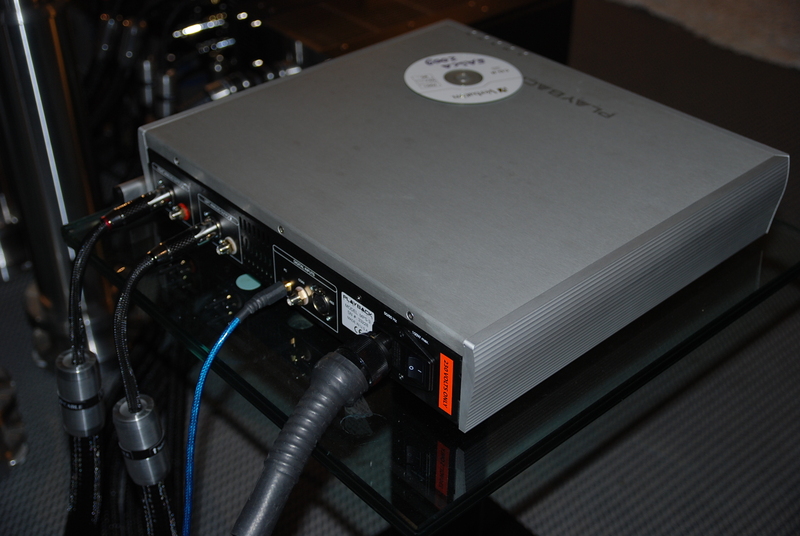 The converter has inputs for 24/192 on AES/EBU and S/PDIF, up to 24/96 on Toslink and up to 384 kHz PCM and 6.1MHz DSD for a direct link to a computer over USB. Our second product differs from the 5 system of course, still we have the same options in player and/or DAC. The MPS-3 is a CD player. The MPD-3 is the DAC without the player. Now we find on both products inputs for 24/192 on AES/EBU and S/PDIF and up to 24/384 on USB. But USB will also accept a DSD stream up to 6.1 MHz which is quite unique. Well it is very easy to get a streamer to stream files on a NAS over Ethernet in any format, as long as it is PCM, but how to get DSD from your NAS into the MPD-3? The DSD music files can be downloaded from the internet and stored either on a local PC or on a NAS. You connect the PC over USB to the any Playback Designs product with a decent cable, install software like JRiver and off you go. In the case that the files are or on a NAS, the PC will get them. Over a wire, do not use Wi-Fi with high resolution material. So for DSD you need to have storage, a PC that might be quite simple and as quiet as possible in your listening surrounding, although you can even store it in a cupboard and use an iPad to remote control is. The Apple Mac platform works quite similarly: you can use either Audirvana or Puremusic to play you PCM and DSD files. Do you see a future for Highres music? If I look at my kids yes. They download their MP3 but as soon as I put them in front of a nice system and we listen to better file formats, they agree the music is much more engaging and more fun to listen to. I do hope parents support their kids to invest in a music system, let them enjoy it and when they leave home and go out to work, they earn the money to move up in quality. We have to make sure that we teach the new generation of audiophiles what is possible these days. They might start with PCM and finally end with the high end format DSD. Do you have an explanation why or why we should not compress files in FLAC, ALAC or any other format. Or why we should use WAV? Actually I do not know exactly why compressed files sound different from a non-compressed file if you compress lossless. I can only come up with the following explanation. Decompressing takes processor power. But we have got enough powerful processors on the market one would say. 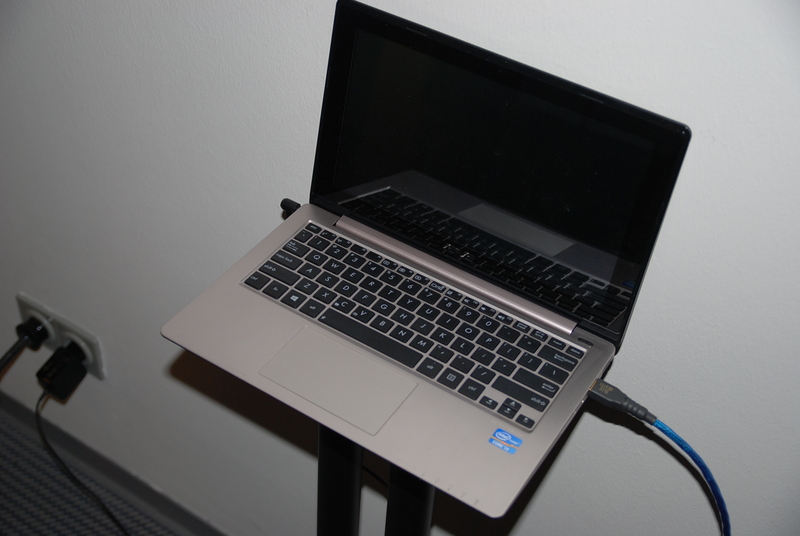 But as soon as the processor starts working, it will consume power and the temperature will rise. I guess this influence can be heard through the power supply when it needs to deliver more current. I would suggest doing decompression on the NAS and not on the streamer, if the NAS is able to do it. To make things even more difficult, a lot of money is being spent on D/A converters, but a lot less is spent on A/D converters, because they are used mostly by recording studios who have to amortize that expense. 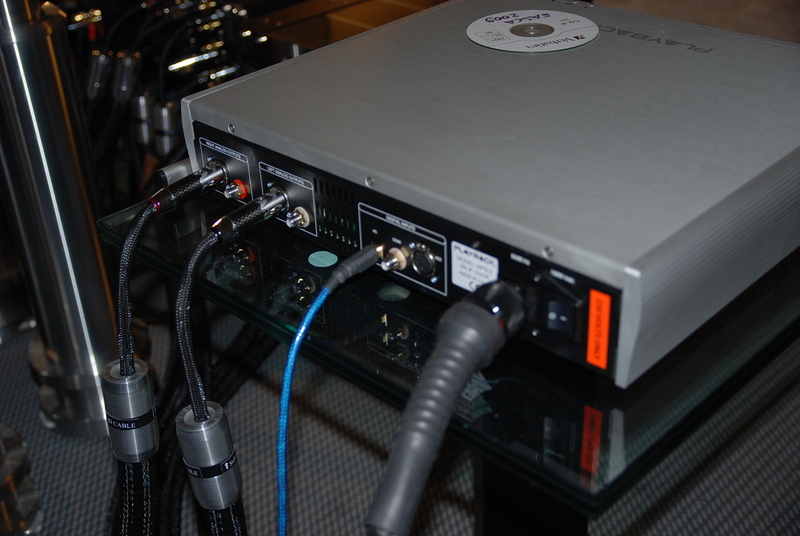 As a result the A/D converters often are the limiting quality link in the digital audio chain. DSD has the potential to counteract that fact to some degree. What is so special about Playback Designs products? What I did is pay attention to every part of the product. Some companies make excellent amplifier stages, some know all about converting techniques, some build the best power supplies. What I did is give attention to every circuit inside the devices. The power supply, the digital receivers, the converters, the analogue circuit and even the connectors. They all balance and made on the same quality level. Needed algorithms are written by me, the conversion technique is my own. That way I try to make my product outstanding and I hope a customer will enjoy my work during music playback sessions. Dit bericht werd geplaatst in Algemeen info - Informations générales, Playback Designs, Rene van Es en getagged met audio, durob audio, electronics, herman van den dungen, hifi, music, playback designs. Maak dit favoriet permalink.